References DELETEP, m_divStyles, m_TableHelperStack, and UT_VECTOR_PURGEALL. References recognizeXHTML(), requireBlock(), IE_Imp_XML::setParser(), and size. References PD_Document::appendFmt(), appendStrux(), bInTable(), IE_Imp::getDoc(), IE_Imp_TableHelperStack::InlineFormat(), m_addedPTXSection, m_bFirstBlock, m_TableHelperStack, PTX_Block, and PTX_Section. Referenced by endElement(), pushInline(), and startElement(). References PD_Document::appendObject(), appendStrux(), bInTable(), IE_Imp::getDoc(), m_addedPTXSection, m_bFirstBlock, m_TableHelperStack, IE_Imp_TableHelperStack::Object(), PTX_Block, and PTX_Section. References PD_Document::appendSpan(), appendStrux(), bInTable(), IE_Imp::getDoc(), IE_Imp_TableHelperStack::Inline(), m_addedPTXSection, m_bFirstBlock, m_TableHelperStack, PTX_Block, PTX_Section, and UT_DEBUGMSG. References PD_Document::appendStrux(), bInTable(), IE_Imp_TableHelperStack::Block(), IE_Imp::getDoc(), m_addedPTXSection, m_bFirstBlock, m_TableHelperStack, PTX_Block, PTX_Section, and UT_DEBUGMSG. Referenced by appendFmt(), appendObject(), appendSpan(), newBlock(), requireSection(), and startElement(). Referenced by appendFmt(), appendObject(), appendSpan(), and appendStrux(). References IE_Imp_XML::_PS_Block, IE_Imp_XML::_PS_Init, IE_Imp_XML::_PS_MetaData, IE_Imp_XML::_PS_StyleSec, UT_UTF8String::append(), IE_Imp::isPasting(), m_bInMath, IE_Imp_XML::m_bWhiteSignificant, IE_Imp_XML::m_parseState, m_pMathBB, m_Title, requireBlock(), UT_UCS2String::size(), UCS_SPACE, UT_DEBUGMSG, UT_return_if_fail, UT_UTF8String::utf8_str(), X_CheckError, and xxx_UT_DEBUGMSG. References UT_GenericVector< T >::getItemCount(), and m_divClasses. References IE_Imp_XML::_getInlineDepth(), IE_Imp_XML::_mapNameToToken(), IE_Imp_XML::_popInlineFmt(), IE_Imp_XML::_PS_Block, IE_Imp_XML::_PS_MetaData, appendFmt(), appendObject(), DELETEP, IE_Imp::getDoc(), UT_GenericVector< T >::getItemCount(), UT_GenericVector< T >::getLastItem(), PD_Document::getUID(), IE_Imp::isPasting(), L_NONE, m_bInMath, IE_Imp_XML::m_bWhiteSignificant, m_divClasses, m_divStyles, m_iListID, m_iPreCount, IE_Imp_XML::m_lenCharDataSeen, m_listType, IE_Imp_XML::m_parseState, m_pMathBB, m_szBookMarkName, m_TableHelperStack, m_Title, m_utsParents, IE_Imp_XML::m_vecInlineFmt, UT_UniqueId::Math, newBlock(), PD_META_KEY_TITLE, UT_GenericVector< T >::pop_back(), PTO_Bookmark, PTO_Hyperlink, PTO_Math, requireSection(), IE_Imp_TableHelperStack::setCaptionOff(), PD_Document::setMetaDataProp(), IE_Imp_TableHelperStack::tableEnd(), IE_Imp_TableHelperStack::tdEnd(), TokenTableSize, TT_A, TT_ADDRESS, TT_B, TT_BLOCKQUOTE, TT_BODY, TT_BR, TT_CAPTION, TT_CITE, TT_CODE, TT_COL, TT_COLGROUP, TT_DD, TT_DFN, TT_DIV, TT_DL, TT_DT, TT_EM, TT_FONT, TT_H1, TT_H2, TT_H3, TT_H4, TT_H5, TT_H6, TT_HEAD, TT_HTML, TT_I, TT_KBD, TT_LI, TT_MATH, TT_META, TT_OL, TT_OTHER, TT_P, TT_PRE, TT_Q, TT_RP, TT_RT, TT_RUBY, TT_S, TT_SAMP, TT_SPAN, TT_STRONG, TT_STYLE, TT_SUB, TT_SUP, TT_TABLE, TT_TBODY, TT_TD, TT_TFOOT, TT_TH, TT_THEAD, TT_TITLE, TT_TR, TT_TT, TT_U, TT_UL, TT_VAR, UT_ASSERT_HARMLESS, UT_DEBUGMSG, UT_return_if_fail, UT_std_string_sprintf(), X_CheckDocument, X_CheckError, X_EatIfAlreadyError, and X_VerifyParseState. References FREEP, IEGFT_Unknown, IE_ImpGraphic::loadGraphic(), UT_DEBUGMSG, UT_OK, and UT_UTF8_Base64Decode(). References IEGFT_Unknown, IE_ImpGraphic::loadGraphic(), IE_Imp_XML::m_szFileName, UT_DEBUGMSG, UT_go_url_resolve_relative(), and UT_OK. References IE_Imp_XML::_data_NewBlock(), IE_Imp_XML::_getInlineDepth(), IE_Imp_XML::_popInlineFmt(), appendStrux(), UT_UTF8String::byteLength(), CSS_MASK_BLOCK, CSS_MASK_INLINE, UT_GenericVector< T >::getItemCount(), UT_GenericVector< T >::getLastItem(), m_bFirstBlock, m_divStyles, IE_Imp_XML::m_parseState, PT_PROPS_ATTRIBUTE_NAME, PTX_Block, pushInline(), requireSection(), s_parseCSStyle(), style, UT_DEBUGMSG, UT_return_val_if_fail, and UT_UTF8String::utf8_str(). Referenced by endElement(), requireBlock(), and startElement(). References UT_ByteBuf::append(), PD_Document::createRawDocument(), PD_Document::finishRawCreation(), PD_Document::getBounds(), IE_Imp::getDoc(), IE_Imp_XHTML(), PD_DocumentRange::m_pDoc, PD_DocumentRange::m_pos1, PD_DocumentRange::m_pos2, UT_XML::parse(), recognizeXHTML(), UT_XML::setListener(), PD_Document::tellListener(), UNREFP, UT_DEBUGMSG, UT_OK, and UT_return_val_if_fail. References IE_Imp_XML::_pushInlineFmt(), appendFmt(), IE_Imp_XML::m_vecInlineFmt, and requireBlock(). Referenced by newBlock(), and startElement(). 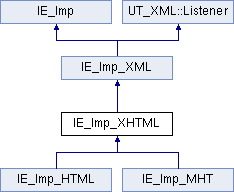 References IE_Imp_XML::_PS_Block, IE_Imp_XML::m_bWhiteSignificant, IE_Imp_XML::m_parseState, and newBlock(). Referenced by _loadFile(), charData(), pushInline(), and startElement(). References IE_Imp_XML::_PS_Sec, appendStrux(), m_addedPTXSection, m_bFirstBlock, IE_Imp_XML::m_parseState, PTX_Section, and UT_return_val_if_fail. Referenced by endElement(), newBlock(), and startElement(). References IE_Imp_XML::_data_CharCount(), IE_Imp_XML::_data_NewBlock(), IE_Imp_XML::_mapNameToToken(), IE_Imp_XML::_PS_Block, IE_Imp_XML::_PS_Init, IE_Imp_XML::_PS_Sec, IE_Imp_XML::_PS_StyleSec, appendFmt(), appendObject(), appendSpan(), appendStrux(), UT_UTF8String::byteLength(), childOfSection(), PD_Document::convertPercentToInches(), CSS_MASK_IMAGE, CSS_MASK_INLINE, d, DIM_IN, DIM_PERCENT, UT_UTF8String::empty(), endElement(), gchar, IE_Imp::getDoc(), UT_GenericVector< T >::getItemCount(), UT_GenericVector< T >::getLastItem(), importDataURLImage(), importImage(), IE_Imp::isClipboard(), IE_Imp::isPasting(), L_NONE, L_OL, m_bFirstBlock, m_bInMath, IE_Imp_XML::m_bWasSpace, IE_Imp_XML::m_bWhiteSignificant, m_divClasses, m_divStyles, IE_Imp_XML::m_error, m_iListID, m_iNewImage, m_iNewListID, m_iPreCount, m_listType, IE_Imp_XML::m_parseState, m_pMathBB, m_szBookMarkName, m_TableHelperStack, m_utsParents, newBlock(), PD_META_KEY_CREATOR, PD_META_KEY_KEYWORDS, PD_META_KEY_SUBJECT, PD_META_KEY_TITLE, PP_cloneAndDecodeAttributes(), PP_getAttribute(), PP_std_copyProps(), PTO_Bookmark, PTO_Field, PTO_Hyperlink, PTO_Image, PTX_Block, UT_GenericVector< T >::push_back(), pushInline(), requireBlock(), requireSection(), s_append_color(), s_append_font_family(), s_append_font_size(), s_class_query(), s_parseCSStyle(), s_section_classes, sc_other, IE_Imp_TableHelperStack::setCaptionOn(), PD_Document::setMetaDataProp(), style, szName, IE_Imp_TableHelperStack::tableStart(), IE_Imp_TableHelperStack::tbodyStart(), IE_Imp_TableHelperStack::tdStart(), IE_Imp_TableHelperStack::tfootStart(), IE_Imp_TableHelperStack::theadStart(), TokenTableSize, IE_Imp_TableHelperStack::trStart(), TT_A, TT_ADDRESS, TT_B, TT_BLOCKQUOTE, TT_BODY, TT_BR, TT_CAPTION, TT_CITE, TT_CODE, TT_COL, TT_COLGROUP, TT_DD, TT_DFN, TT_DIV, TT_DL, TT_DT, TT_EM, TT_FONT, TT_H1, TT_H2, TT_H3, TT_H4, TT_H5, TT_H6, TT_HEAD, TT_HTML, TT_I, TT_IMG, TT_KBD, TT_LI, TT_MATH, TT_META, TT_OL, TT_OTHER, TT_P, TT_PRE, TT_Q, TT_RP, TT_RT, TT_RUBY, TT_S, TT_SAMP, TT_SPAN, TT_STRONG, TT_STYLE, TT_SUB, TT_SUP, TT_TABLE, TT_TBODY, TT_TD, TT_TFOOT, TT_TH, TT_THEAD, TT_TITLE, TT_TR, TT_TT, TT_U, TT_UL, TT_VAR, UT_ASSERT, UT_ASSERT_HARMLESS, UT_convertDimensionless(), UT_convertDimensions(), UT_convertToInches(), UT_DEBUGMSG, UT_determineDimension(), UT_std_string_sprintf(), UT_UTF8String::utf8_str(), X_CheckError, X_EatIfAlreadyError, X_VerifyParseState, and xxx_UT_DEBUGMSG. Referenced by appendFmt(), appendObject(), appendSpan(), appendStrux(), and requireSection(). Referenced by appendFmt(), appendObject(), appendSpan(), appendStrux(), newBlock(), requireSection(), and startElement(). Referenced by charData(), endElement(), and startElement(). Referenced by childOfSection(), endElement(), and startElement(). Referenced by endElement(), newBlock(), startElement(), and ~IE_Imp_XHTML(). Referenced by appendFmt(), appendObject(), appendSpan(), appendStrux(), bInTable(), endElement(), startElement(), and ~IE_Imp_XHTML(). Referenced by charData(), and endElement().